Background Information Bcl2 (B cell CLL lymphoma 2) is a proto-oncogen, which can contribute to tumorigenesis by counteracting apoptosis in various cell types. 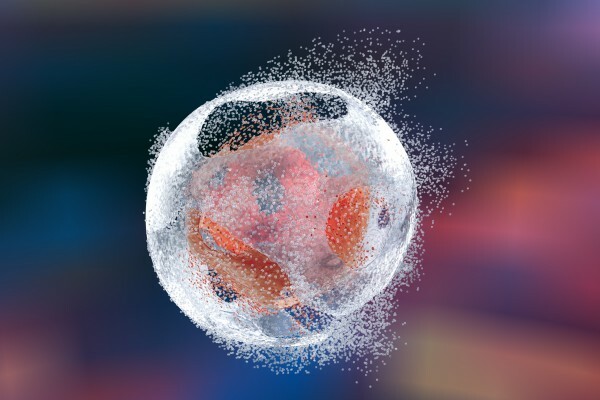 The anti-apoptotic effect of Bcl2 is performed by its interactions with suppressors and agonists of cell death and under physiological conditions it is regulated by proteolytic processing and phosphorylation. Bcl2 expression can be detected mainly in lymphoid tissues and in the basal cells of epithelial tissues. It is also a marker that can help in classification of lymphoproliferative diseases and in prognostics of some epithelial neoplasms.